I attended the HPC User Forum this week that was held in San Diego. I slipped out just a couple hours early to catch my flight – turns out I didn’t miss much because the power in San Diego went out soon after I left! I had just passed through airport security when everything went black. Everyone was calm, but it became quickly apparent that no planes would be taking off anytime soon. My normal preparations (aka the stuff in my carry-on bag) really paid off during this hiccup in my plans. I thought I would share with you a few lessons that were reinforced while stuck in San Diego. Some of these things I was going to share in future blogs, but the time seems appropriate to do so now. I am very selective in the items I carry with me as I try to travel very light; although, a few seldom used items that I always carry with me came in very handy. As I arrived at the airport, I quickly passed by the Delta counter and headed to security because I never check bags. If I had checked a bag I would have had to wait a very long time to retrieve it before exiting the airport, delaying my escape from San Diego. 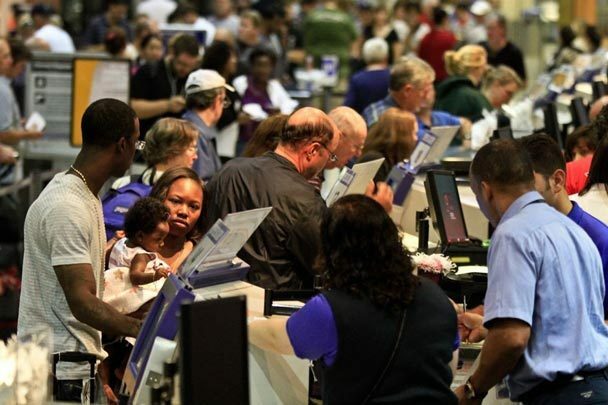 Checking a bag will usually slow you down substantially if your plans change, your flight gets cancelled, or you are stuck overnight because of a missed connection while your bag made it safely to your destination without you. If you travel a lot and are still checking bags, its time to downsize your stuff and even consider washing if you have an extended trip. If I have a tight connection I also try not to gate check my bag if possible, as this can easily cost you an extra 20 minutes. I recently downsized my suitcase to one that will fit under the seat on regional jets, and now I rarely need to gate check. This saves me lots of time, and gives me much more flexibility when I have connecting flights. What is the first thing you imagine everyone did after realizing that their travels plans were in jeopardy? Get on their phone of course – to check the news, call loved ones, make alternate arrangements, etc. 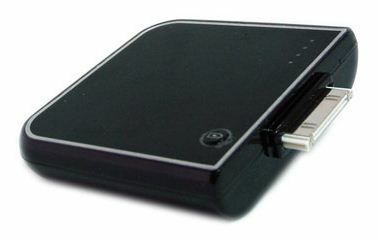 This compounded with cell towers without power quickly caused calls to drop and data connections to stall. I was fortunate enough to have two phones with me, each on different networks (T-mobile and AT&T). Over the next several hours I had to alternate between phones but I was usually able to get through. After a couple of hours, the most common worry I heard from others was that their phone battery was almost drained and they had no way to charge it. I always keep an extra battery with me for both of my phones. I typically only need them on long flights or times when I forget to charge my phone overnight. In San Diego though, the extra batteries became a lifeline. Purchase an extra battery or two and keep them charged; you never know when you will need them. Additionally, I had my retractable charging cables in my bag so I was able to get some juice once I got to a rental car. 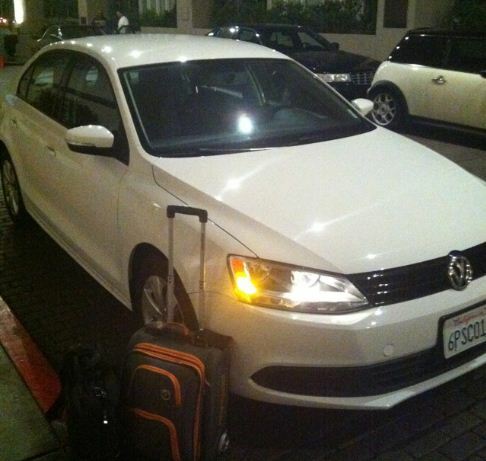 Speaking of rental cars, this was the key to getting my travel back on track. While planes could not take off, it turns out that most of the rental car companies were still issuing cars to patrons. So now I had power for my phones, air-conditioning, and a way to leave town. I picked a rental car that had great MPG since I didn’t know when I would find another working gas pump. Getting to a rental car was key, and I was able to drive to Los Angeles (which had power), get a good nights sleep, and catch a flight the next morning. 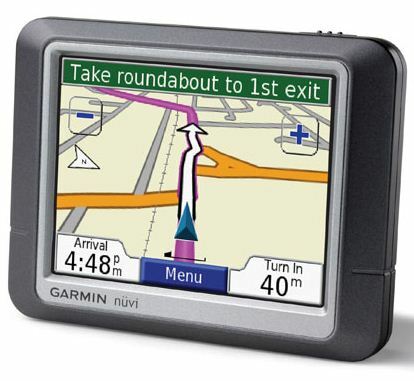 I have some colleagues that rely on the GPS on their smartphone, but I always carry a separate small Garmin GPS with me. I like to have separate devices in case I get an important call while I’m driving. In the power outage though, conserving battery power on my phone was nice, but more importantly the data connection on my phone was almost non-existent which made apps like Google Maps useless. My Garmin has the maps built-in and it worked just like you would expect, regardless of the outage. I would suggest a GPS that has a standard USB charging connection (so you can use retractable cables) and has spoken street names. This way, I can just stuff my GPS in the console or my shirt pocket, and not have to carry the bulky window mount with me everywhere. Credit cards were useless in San Diego during the power outage. 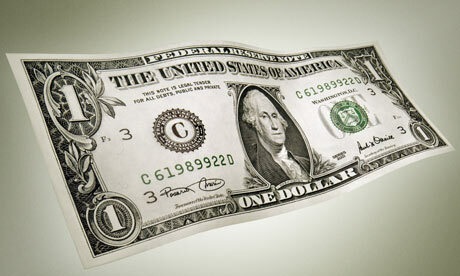 I always carry some extra cash with me, which I usually end up using on cab fare or parking. In this case though, I needed cash so I could eat! If you don’t have a stash of extra cash with you, at the very least put an extra twenty in your wallet that you only use in case of emergencies. All in all, the San Diego blackout turned out to be not so bad thanks to preparation and a little luck. I arrived home 18 hours late but I got a good nights rest, ate well, and was able to communicate with friends and family.